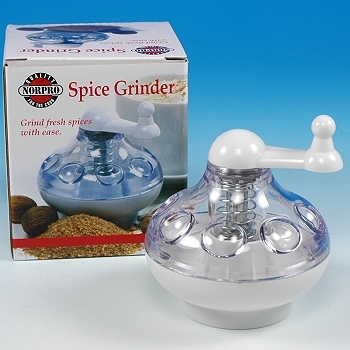 Spice Grinder, grinds fresh whole spices with ease. With an easy turn of the crank handle, the stainless steel blade produces fine grated spice. 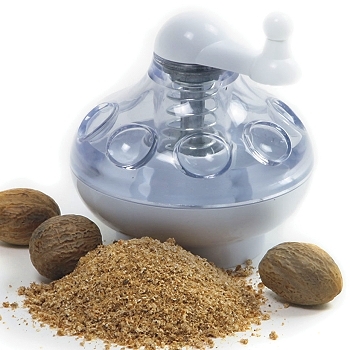 Perfect for whole nutmeg, ginger, pepper corns, rock salt and other spices. Store spices in the grinder body.